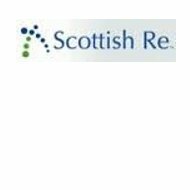 Under the structured laws of the Cayman Islands, Scottish Re Group Corporation is a holding company. Its head offices are in Bermuda with much of its written products done in the United States. Scottish Re Health Insurance Corporation does not offer health insurance. However, to find health insurance, type in your zip code and compare different health insurance quotes to find the one that best meets your individual needs. Limited and Scottish Re (U.S.), Inc.
Scottish Annuity & Life Insurance Company (Cayman) Ltd. In the past, Scottish Re Insurance Corporation was most successful in rewriting or reinsuring of annuities, annuity-type products, and life insurance. They did so mostly in the U.S. branch offices. Scottish Re Insurance Company was incorporated in 1979 as a stock company. The assets of Scottish Re Insurance are $510,442,432 with a net surplus of $52,246,533 and a capital of $5,330,000. With the company not rewriting insurance policies, they also delisted from the New York Stock Exchange in April of 2008. According to the Securities Exchange Act of 1934, Scottish Re Insurance is not obligated to report ordinary shares in addition to non-cumulative preferred shares. In addition to the Securities Exchange act also caused a suspension in obligations in reporting because fewer than 300 insurance holders are on record. Although no current positive or negative material is obligated to be made into public file, historical filings can be found at the SEC website. As of August 24, 2011, a merger was completed in accordance to Cayman Islands law. The two companies who took over the merger are Cerberus Capital Management, L.P., and MassMutual Capital Partners LLC. Scottish Re Group Limited was the name that stuck with the three company’s merger. With this merger, the outstanding shares were cancelled and new ones were issued to the investors of the merger. Participating preferred shares and non-cumulative preferred shares were not affected. Now after the merger, all the voting shares belong to the two investing companies. The above information was collected for the purpose of having a top rated list of health insurance companies. This was done in 2009 and the information was made available to the public in early 2011. 650 billion was the earned premiums of top rated U.S. health insurers in 2009. Two-thirds of this amount was earned by the top 25 companies provided by U.S. News website. They also have designed plans for individual needs. Not only do these include medical plans, but also dental plans, vision, disability and life plans as well. To take a closer look at health insurance rates enter your zip code. With this, you can compare the rates of United Health Group and other health insurance companies as well.